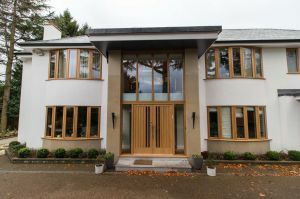 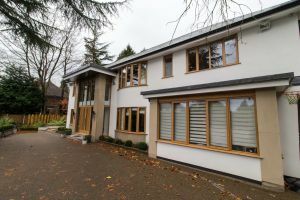 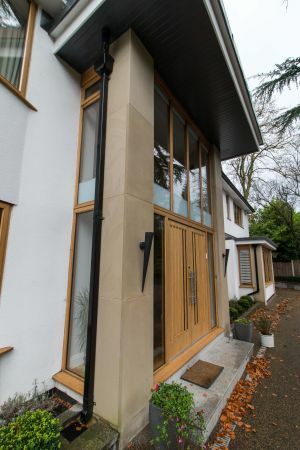 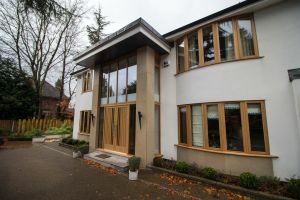 We supplied York stone cladding for the front elevations. 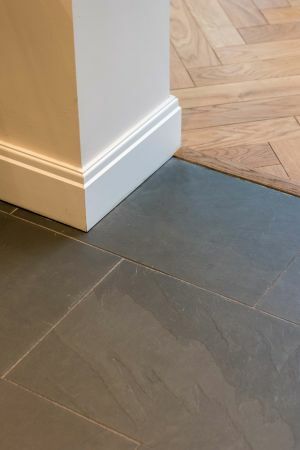 For the patio areas we supplied Indian Stone as well as slate paving with bespoke bullnosed steps. 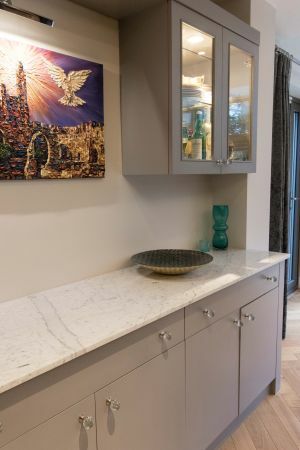 Internally, we supplied Emerald Pearl Granite worktops, Brazilian Grey Slate floor tiles. 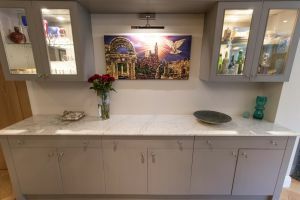 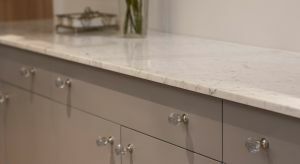 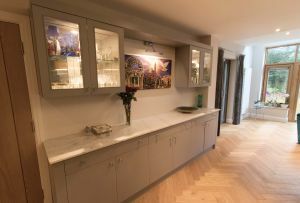 The beautiful sideboard in the dining room was fitted with a Bianco Carrara marble worktop. 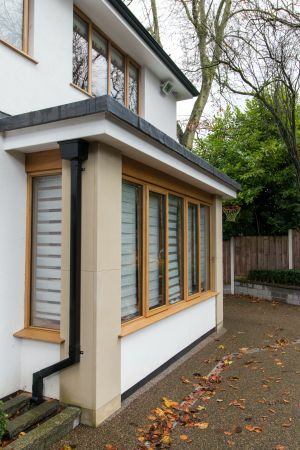 For the swimming pool area walls we supplied our CladFX white quartz wall cladding.